If you are enjoying deck weather, the perfect space for an afternoon pick-me-up, how about adding something elegant and complex for a blood-sugar dip? 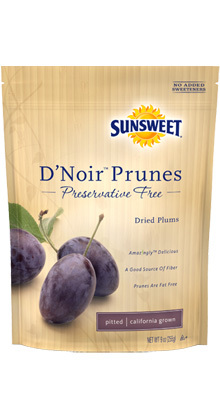 Working hand-in-hand with nature, Sunsweet® introduces D’Noir™ prunes—delicious and exquisitely flavor-filled. Sunsweet® is proud of their most artful prune. Made without preservatives, there’s nothing to stand in the way of their incredible taste. Growing the world’s finest prunes for nearly 100 years, Sunsweet® invites you to try their masterpiece. From their crop of plums grown in lush California orchards, they carefully select the few that meet their D’Noir™ standards. Their pursuit of the highest quality standards is what makes Sunsweet® the world’s #1 prune. They celebrate some of their 250 growers and their orchards (located in California’s Sacramento and San Joaquin Valleys) by highlighting some of those fine fruit growers on their D’Noir™ homepage. Prunes contain antioxidants that play a role in disease prevention, fiber that promotes healthy digestion, and potassium that improves heart health and increases energy levels. This kind of rapport can step-up any snack game and inspire snack envy. 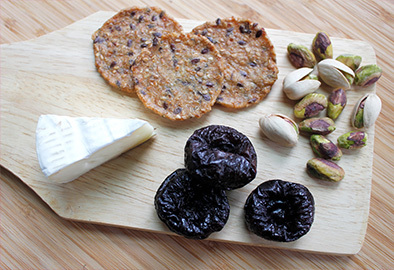 Pair Sunsweet’s re-sealable D’Noir™ prunes with cheese and nuts for a chic and balanced bite. You won't want to miss out on this stately treat: D’Lightful, D’Licious, D’noir! 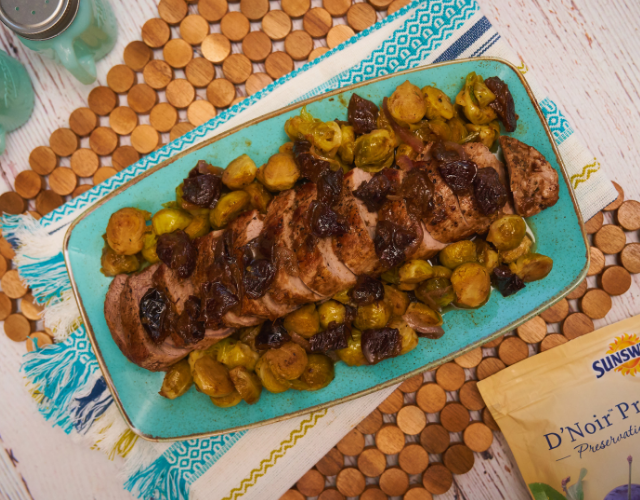 Make this delicious D'noir™ Prune Sauce with Pork Tenderloin for a super easy and super tasty one-pan meal!